1 Preheat oven to 400°. 2 In medium bowl, combine all ingredients except salmon. On baking sheet, arrange salmon, then spread with mayonnaise mixture. 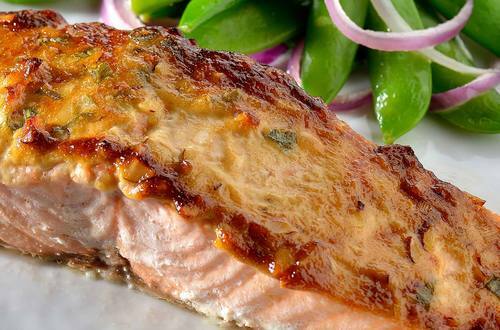 3 Bake 20 minutes or until salmon flakes easily with fork.